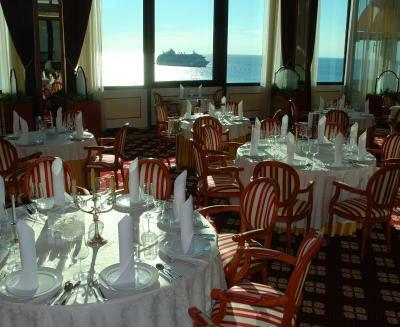 Lock in a great price for Grand Hotel Bernardin – rated 8.7 by recent guests! 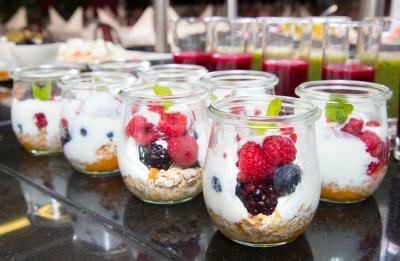 Very nice buffet breakfast, delicious and a lot of choice. Clean, modern rooms, great tv, amazing view and the pool is beautiful and has a salty water. Room is so beautiful and comfortable. Not to speak about bed. I could stay in it for ever. Huge, comfortable with the view over sea. 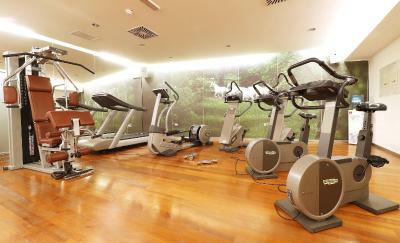 This is my second time here, the location is wonderful, the room, the wellness area and the pool. The breakfast was not good the first time, but now it was excellent. The staff at the reception is kind and the waiters at the restaurant also. 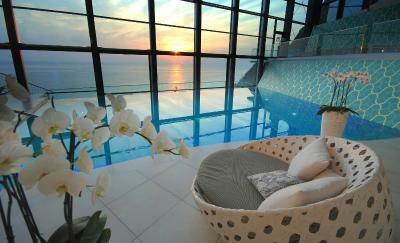 Wonderful room with the view that makes you feel you are floating above the sea. It was very clean and has one of the best pools I have seen in hotels. The staff was friendly and helpful. The food was not THE best, but very good. Worth the every cent, and worth that five stars. Will go there again! Everything else was amazing. Great view. Great location. Easy to get to other restaurants and Piran, while secluded enough that we could sip a glass of wine out on the balcony and hear only the sound of the waves against the shore. Staff was perfect! Hotel was spotless! Breakfast was fantastic! All we had to do was go downstairs and bam! we were on the beach! Also loved the extra service available at the beach where you could get a spot reserved and extras (including wait service, gelato, and prosecco) for just 15 euro per person extra. Would highly recommend this hotel! P.s. watch the sunset from your balcony if you want some romantic setting and privacy! It was worth it! the location is the best in the area, away from the crowded bay of portoroz but just 10 minutes walk from lovely piran, and the private intimate beach is just downstairs. 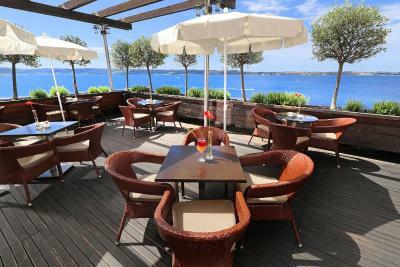 the service is excellent on the beach (gin&tonics are one of the best ive ever tried! ), in the restaurant, the grand cafe, and in the hotel as well, the oldschool/retro hotel is nicely renovated inside, the rooms are big enough and the balconies are lovely, bedsheets are comfy & bathrooms are great, the new swimming pool has an awesome view of the bay (even though its only indoor, its at least seawater), the staff was exceptionally nice and helpful, and though the breakfast is served also only indoor and classic hotel style, its definitely better quality than a regular hotel breakfast: agreeable coffee, fresh orange juice, freshly made crepes & omlettes, nice champagne and fresh fruit. would definitely recommend & come back, ideal for a 2 days relaxing holiday. Very good hotel, with private (hotel) beach. Very nice hotel bar with great view. It’s right on the waterfront. 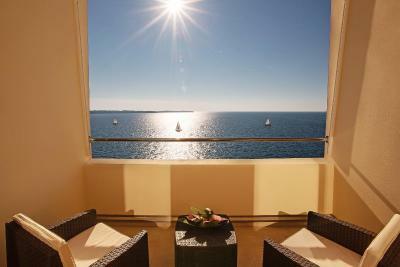 Every room has a balcony and an unobstructed view of the sea and Croatian coast. However it is outside central Portorož and is about 30 min pleasant walk along the coast. 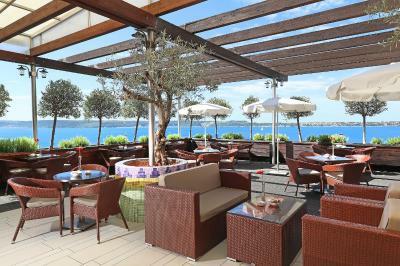 That also means you will be away from the crowded beaches and cafes that line Portorož’s water front. 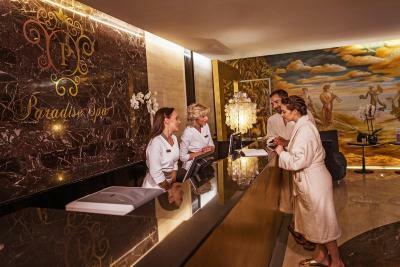 The location of this hotel however is closer to charming town of Piran. It is 1km away ( about 15 min walk) and a free bus goes every 15 min from the parking lot behind the hotel. The bed was actually really comfortable, so I slept really well. The biggest bonus and worth the trip was access to the beach. I'm not sure if I would stay there again just for that reason alone, but it's super convenient. Grand Hotel Bernardin This rating is a reflection of how the property compares to the industry standard when it comes to price, facilities and services available. It's based on a self-evaluation by the property. Use this rating to help choose your stay! 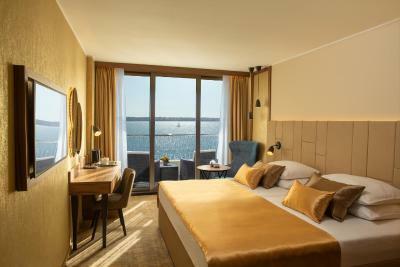 One of our top picks in Portorož.Boasting a beachfront location between the historic towns of Portorož and Piran, the elegant Grand Hotel Bernardin features a spa and wellness center that provides panoramic views of the Adriatic and consists of an indoor pool with heated saltwater. 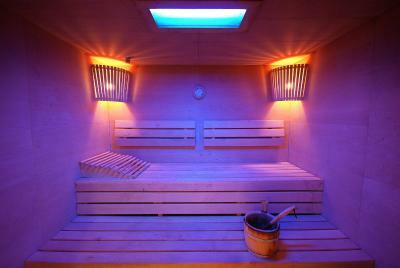 Saunas and various massage treatments are available at a surcharge. 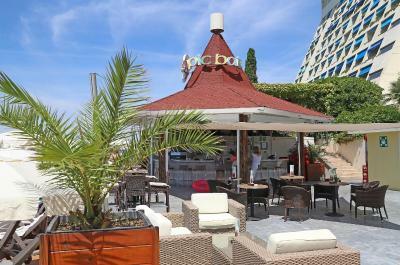 The hotel has a luxurious private beach area with an on-site beach bar. Free WiFi is provided in all areas. 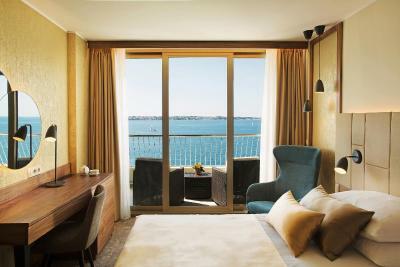 All rooms at the Grand Hotel Bernardin are air-conditioned and include a private balcony with views of the Adriatic Sea. A seating area with a flat-screen TV, a mini-bar, and a safety deposit box are also included. Private bathrooms consist of a bathtub, a hairdryer and free toiletries. 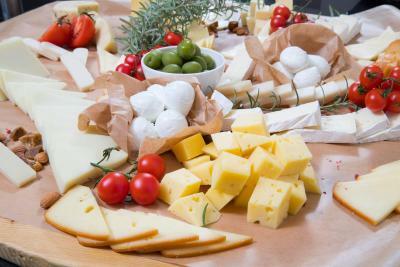 Two gourmet restaurants are located on-site and provide an innovative gastronomic journey of Slovenia and the Mediterranean. 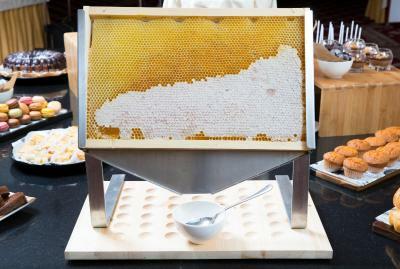 The hotel complex also includes several cafe bars, a piano bar, a spacious terrace and the largest convention center in Slovenia. 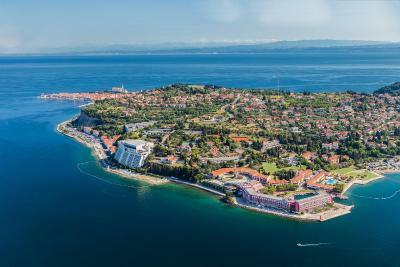 The center of Portorož can be reached in 0.9 mi, while the town of Piran is 1.2 mi from Grand Hotel Bernardin. Pula Airport is 56 mi away. Trieste Airport can be reached in 50 mi, while Ljubljana Airport is at a distance of 87 mi. Guests can park for free at the hotel’s private parking lot. 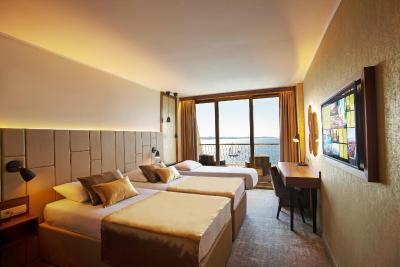 This is our guests' favorite part of Portorož, according to independent reviews. 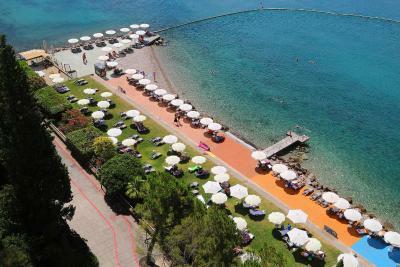 This property also has one of the top-rated locations in Portorož! Guests are happier about it compared to other properties in the area. When would you like to stay at Grand Hotel Bernardin? 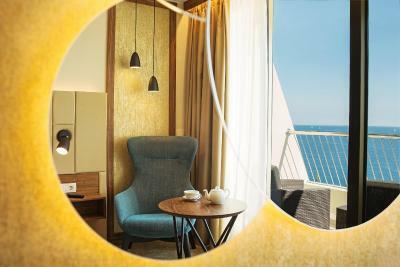 This air-conditioned room features a balcony with views of the Adriatic Sea and includes a flat-screen TV and a seating area with a sofa. A mini-bar and a safety deposit box are also included. A private bathroom comes with a bathtub, a hairdryer and free toiletries. 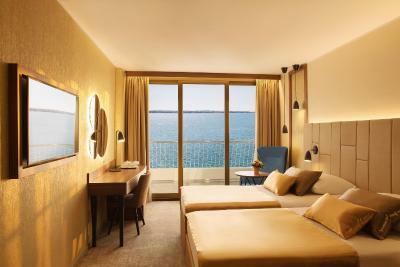 This spacious air-conditioned suite features a furnished balcony with views of the Adriatic Sea. 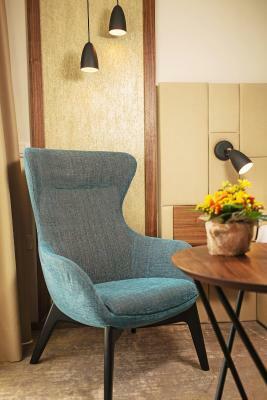 The suite consists of a seating area with a sofa, a flat-screen TV and a dining table. A private bathroom comes with a bathtub, a hairdryer and free toiletries. 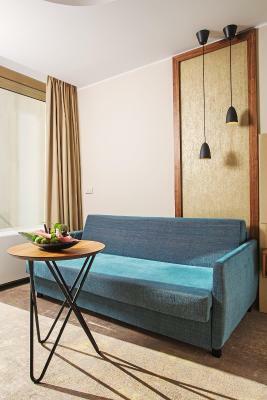 This elegantly furnished air-conditioned room features a balcony with views of the Adriatic Sea and includes a flat-screen TV and a seating area with a sofa. A mini-bar and a safety deposit box are also included. A private bathroom comes with a bathtub, a hairdryer and free toiletries. 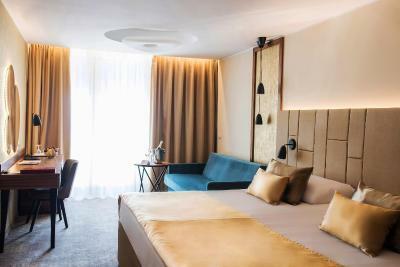 Grand Hotel Bernardin is the first and the largest convention hotel in Slovenia, and looking at the quality of the service, it goes beyond 5 stars. Its wonderful location close to the sea and a private beach provide its guests an idyllic experience. 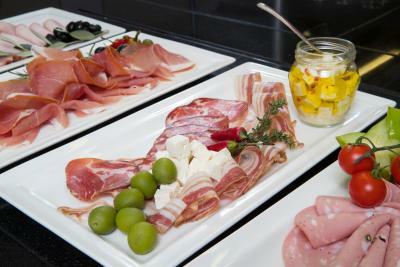 This hotel forms a part of the prestigious St. Bernardin hotel complex situated between Piran and Portorož. 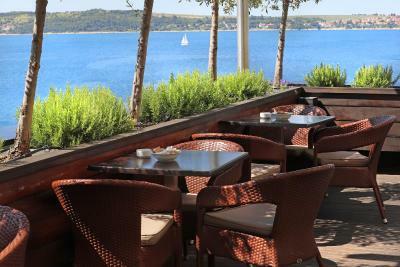 The hotel and its surroundings are an ideal place for a perfect holiday on the Slovenian coast surrounded by peaceful, green settings and overlooking the sea. 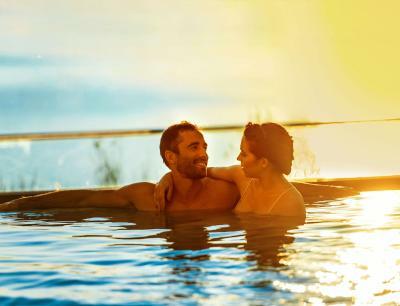 Furthermore, the hotel boasts a swimming pool with heated sea water, Paradise Spa Wellness Centre, two restaurants, Pečina Restaurant and Sunset Restaurant, Grand Café and Cocktail Lounge with piano, Grand Garden Covered Terrace and Laguna Bernardin Water Park. 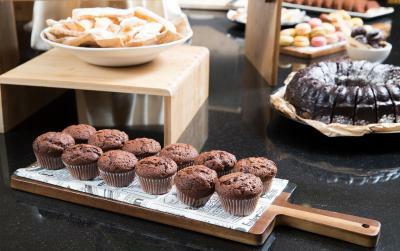 House Rules Grand Hotel Bernardin takes special requests – add in the next step! Grand Hotel Bernardin accepts these cards and reserves the right to temporarily hold an amount prior to arrival. 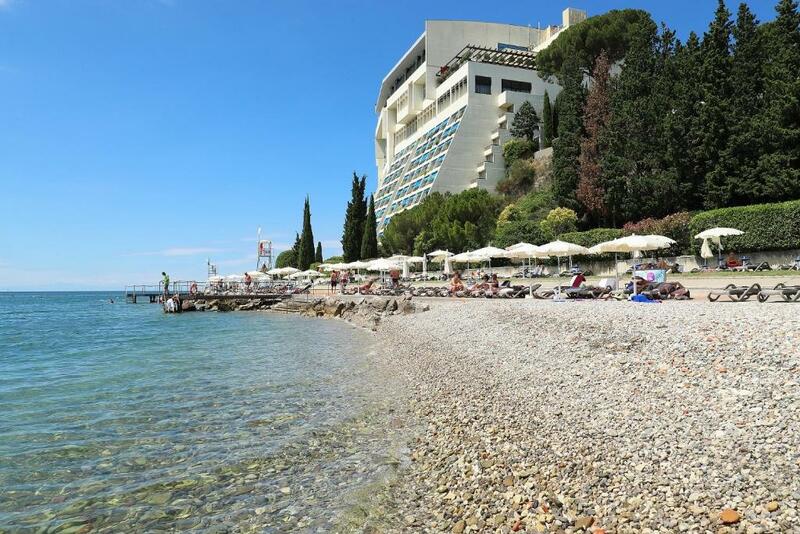 To access the Grand Hotel Bernardin parking the following address needs to be entered in the GPS device: Ladjedelniška Reber 13, 6320 Portorož - Portorose. 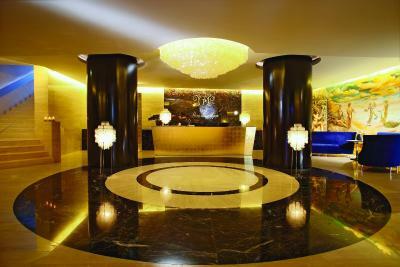 Please note that a reservation fee is charged 1 EUR per person per stay. Staff is excellent, especially the masseurs. Very high level of accommodation. Great place to be. Breakfast is very good, pool is nice and very clean, room is clean and comfortable with great view. The staff by the pool. Didn’t offer towels or say hello. There is only one pool with heated sea water, but it is a bit small comparing to the size of the hotel and potential number of guests. 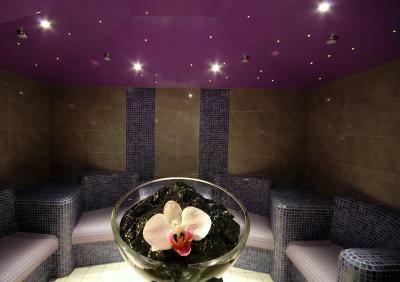 SPA facilities are on the same floor, but separated from the pool area. Use of SPA facilities like saunas or Turkish bath is not included in the price of stay which is a bit strange for a 5 star hotel. Even if you want to pay to use it, minimum pay is for 3 hours use of SPA.